A lovely vintage style yellow diamond engagement ring. A half a carat radiant cut light yellow diamond with vs clarity mounted onto an 18k white gold. 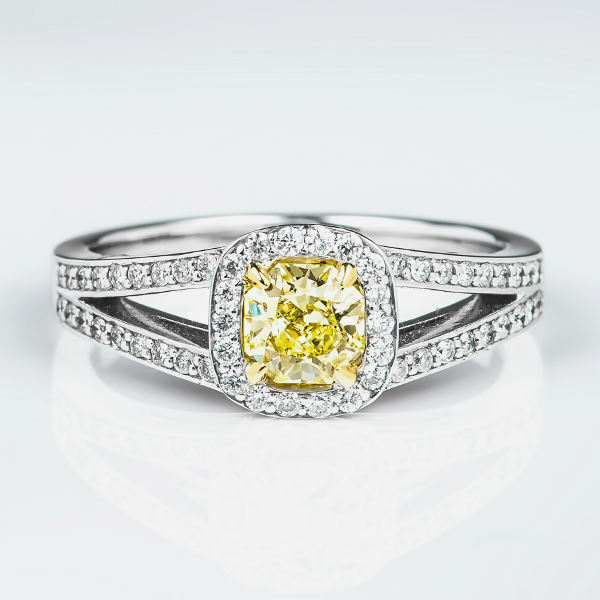 The yellow color is enhanced by a yellow gold cup and due to the contrast with the 54 white diamonds weighing another 0.27ct in the beautiful halo and split shank setting.